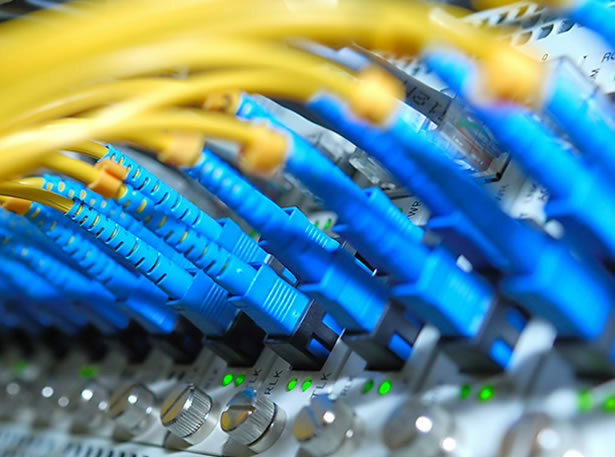 There are strong indications that Nigeria is planning to challenge itself with a pragmatic plan of attaining 70 per cent broadband penetration by 2024. This is after surpassing its earlier five-year target of 30 per cent set between 2013 and 2018, by December 2018. Hi-Tech gathered authoritatively that stakeholders in the telecom sector will tomorrow gather in Abuja to appraise the National Broadband Plan, the actualised 2013-2018 broadband penetration target and possibly set a new target to keep the industry in upswing trajectory. The meeting will be hinged on the theme: The Nigeria National Broadband Plan 2013 – 2018: Success, Prospects and Challenges. Main organiser of the meeting, the Association of Telecom Companies of Nigeria, ATCON, said the strategic underlining purpose of the discourse is principally to see how the entire industry could work towards achieving a greater broadband penetration in the next five years. ATCON said the last plan which target was 30 per cent, has helped all stakeholders to focus on what to be done in deepening broadband penetration. Meanwhile, the Minister of Communication, Mr Adebayo Shittu, is slated to be the keynote speaker while other speakers will include the Executive Vice-Chairman of NCC, Prof. Umar Danbatta, and Director-General of NITDA, Dr. Isa Ali Ibrahim Pantami. Also, Chairman of OpenMedia, Dr. Ernest Ndukwe and MD/CEO, Steven Allen Associates, Mr. Osondu Nwokoro will present the overview of the Broadband Plan 2013-2018. The event will also feature panel discussions on the four key areas: Broadband and its benefits/Where we are with Broadband; The Challenges of Broadband Operators/Strategy and Roadmap goals and Objectives/Roles for government and other stakeholders; Roles for government and other stakeholders/Policy and regulatory priorities/adoption and utilisation and content imperative. Recall that in 2013, Nigeria through the Presidential Committee on Broadband, developed a five-year strategy to drive internet and broadband penetration and scale up the nation’s broadband growth by 30 per cent. The five-year National Broadband Plan, NBP, (2013-2018) was packaged to accelerate high speed internet and mass broadband access, and as a result, prompt socio-economic growth for the nation and prosperity for its citizens. The expected result was targeted to remove barriers to expanding services to the mass market for deeper penetration and adoption. However, at the end of the five years target, the impact of the National Broadband Plan is still mired in debate and argument. As at November 2018, the Nigerian Communications Commission announced that the country had only attained 22 percent. The announcement fuelled speculations that the country could miss the target. However, by the end of December, 2018, the commission announced again that the country had even surpassed the target by about one per cent. Again, the information attracted a hot debate in the telecom industry with some stakeholders insinuating it couldn’t have been true. They doubted the ability of the country to grow that level of penetration in just a matter of weeks. The commission, however, stood its ground that the nation attained up to 31 per cent penetration between 2013 and December 2018 even though its data was based on growth of mobile broadband subscriptions. The commission dismissed arguments that the 31 per cent claim was bogus because penetration pegged around 22 per cent early December 2018. It said the data that supported the 31 per cent claim was empirical and the indices very reliable. Defending its position, the commission said: “Now, broadband penetration is typically measured by the percentage of total population with access to broadband networks out of each hundred.